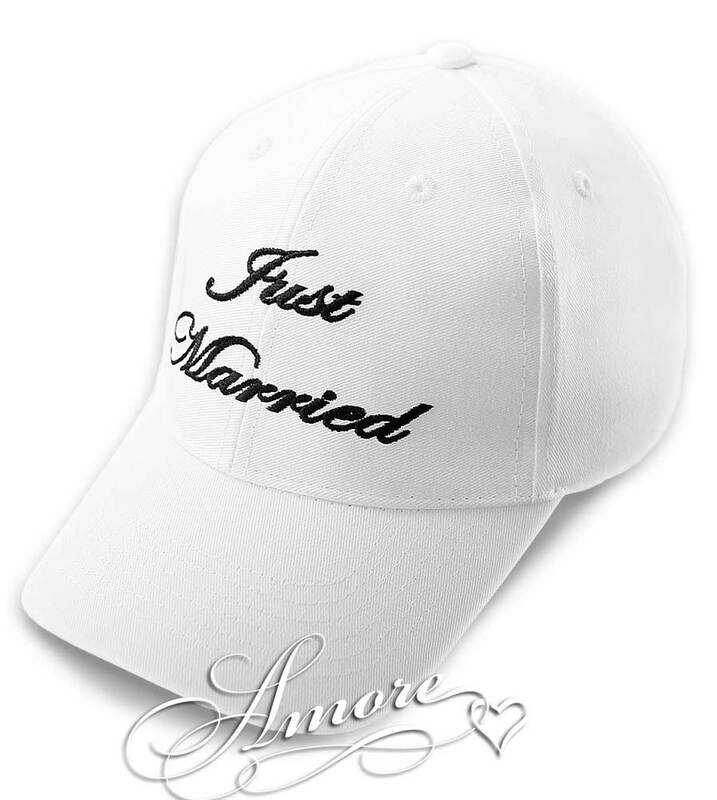 Give them this "Just Married" hat before tee off to keep the sun out of their eyes. This white hat comes with black embroidered lettering. One size fits all. Great wedding gift for Bride and Groom. Fun to wear prior to the wedding to parties and at the reception. They are made 100% cotton, with a beautiful embroidery. This Baseball Cap is Universal Size with Adjustable Velcro strap in the back.